Support banana workers' Farm Co-op in Cameroon this Christmas! Support banana workers' Farm Co-op in Cameroon! Thank you to everyone who donated to our appeal earlier this year in support of the farm co-op established by members of our partner, the Fako Agricultural Workers Union (FAWU), in Cameroon. We managed to raise a very impressive £1200 to help the Co-op buy equipment. 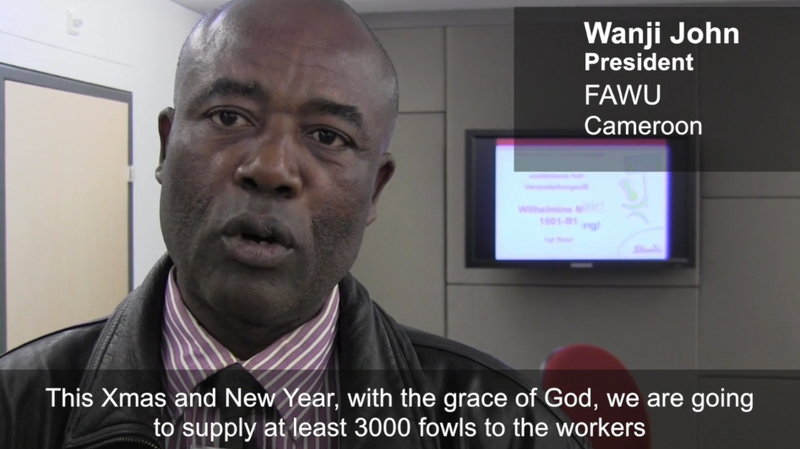 You can still support the Co-op this Christmas - donate see FAWU President, Wanji John, explaining how their co-op is helping low paid plantation workers provide food for their families, and is providing chicken and pork for workers for Christmas and New Year. Or you can DONATE HERE. 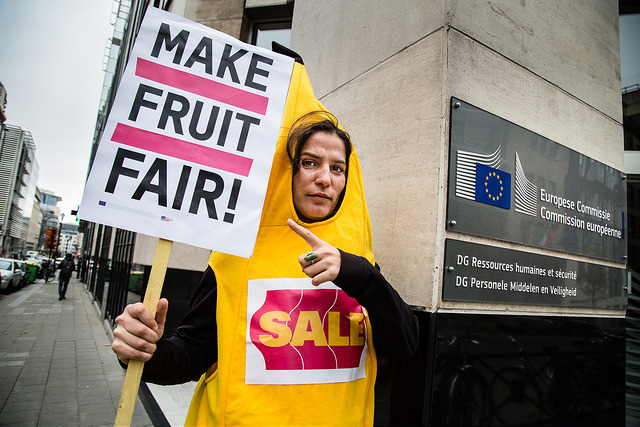 Over 75,000 people across Europe have signed in support of our Make Fruit Fair! campaign asking Lidl to improve conditions for tropical fruit workers in their supply chains. In response, two Lidl suppliers are starting to change the conditions on their plantations. In Costa Rica, all workers at Finca Once, Lidl’s most important pineapple supplier, are now receiving the minimum wage and get paid their overtime. While at banana supplier Matías in Ecuador there have also been improvements, including more strict enforcement of the time period before workers can enter the fields following pesticide spraying and provision of personal protective equipment to all workers exposed to pesticides. 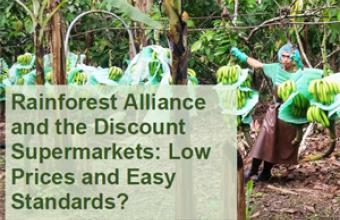 Rainforest Alliance and the discount supermarkets - low prices and easy standards? Earlier this year discount supermarkets Aldi and Lidl announced their intention to source the majority of their tropical fruit from Rainforest Alliance (RA) certified suppliers. This move has thrown into focus the question of whether the claims of sustainability that come with the green frog logo can be met at the low prices which consumers have come to expect from these and other hard discounting supermarkets. In particular, the extent to which RA upholds labour rights or ensures that plantation workers earn anything close to a Living Wage. 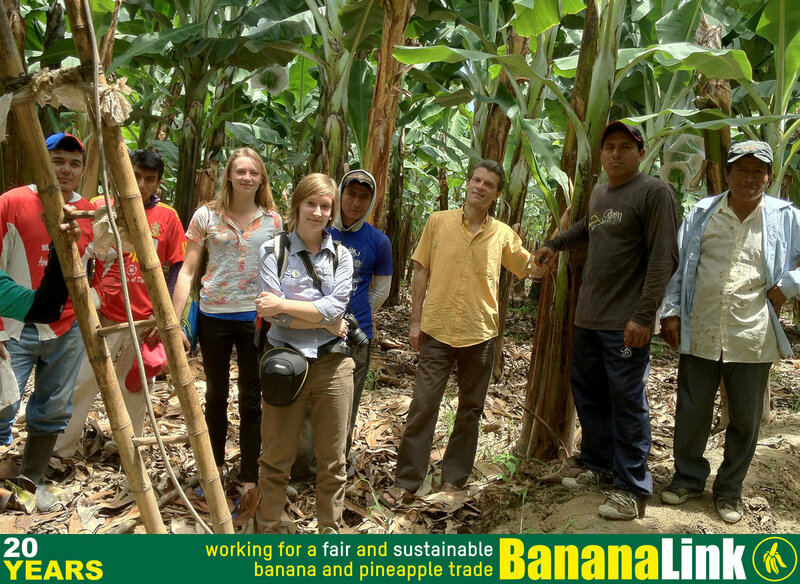 Banana Link recently took a group of journalists from different European countries to showcase good practice on Fairtrade certified banana and pineapple plantations in Ghana. The purpose of the trip was to demonstrate to stakeholders, including consumers and retailers, what we are asking for through the Make Fruit Fair campaign. 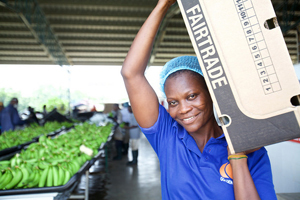 Tropical fruit export production in Ghana provides examples of what can be achieved through the work of unions, companies, certifiers and consumers themselves. Most banana and pineapple production in Ghana is Fairtrade certified and the biggest banana exporting company, Golden Exotics, is developing organic production. Trade unions are free to organise and collectively bargain. Our latest field research shows the majority of workers believe they earn enough to cover their basic household costs. 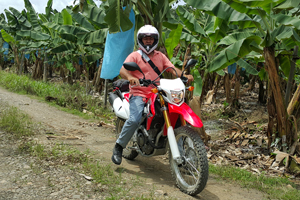 Didier Leitón, the General Secretary of SITRAP, our partner union in Costa Rica is very grateful for the donations to our appeal to fund a motorbike to help with their organising work at more than 40 plantations. Didier has sent us this photo of himself with the new motorbike (left) and a thank you letter to branches of the GMB union, and others, who donated to the fund. Read more about our work with SITRAP and make a donation. Banana Link was delighted recently to host Kozel Fraser, of our partner organisation the Windward Islands Farmers Association (WINFA), on a visit to the UK. Traditionally key suppliers of bananas to the British market, small scale production in islands has only survived thanks to WINFA, Banana Link and other civil society partners calling on supermarkets to offer, and consumers, to choose Caribbean Fairtrade bananas. But Windward farmers now face further challenges to their survival. Climate change has led to a greater incidence of tropical storms which have ravaged production, while the buying power of supermarkets continue to push prices down to an unsustainable level. 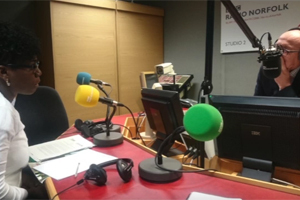 Listen to Kozel talking to BBC Radio Norfolk about the challenges facing small scale banana growers in the Caribbean. Plantation workers in Choluteca, Honduras, are saying they are threatened with dismissal and destitution because they have tried to form a union at their Irish-owned multinational company. The workers, 90% of whom are women, including many single mothers and the elderly, are now appealing to US and European consumers to boycott products sold by the fruit multinational Fyffes until it improves working conditions and allows collective bargaining. Banana Link is 20 years old. Over two decades we have made a significant contribution to making tropical fruit export production more ethical and sustainable. 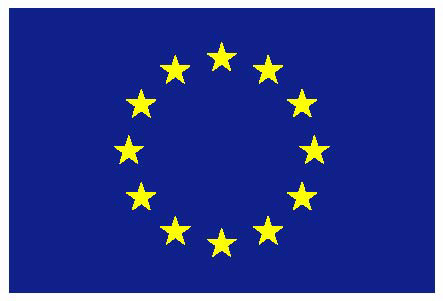 Over the next few weeks we will be marking the occasion by highlighting what we think are our twenty most significant achievements over the past twenty years, on our website and on our facebook page.. Thank you very much to our newsletter subscribers who made a commitment of a monthly donation! Your support of our work makes a real difference! Donations by standing order, in any amount, provide us with a solid foundation of funding to continue our work. Together, we can make a tangible difference to the lives of banana and pineapple workers and small-scale farmers in Latin America, Africa and the Caribbean, as well as their families and communities! You can set up up a regular standing order here. Copyright © 2016 Banana Link, All rights reserved.